Hello! Did you have a good summer? We’re back with some news. New format of the Program Coordinators’ communication. Some time has passed since our last article and we have quite an amount of news. New Sphere: The Regional Communities Sphere. We’re creating (or at least officially recognizing) this new Sphere. It is led by the Regional Coordinator Leader, currently Sebastian Pekala. It includes all Regional Coordinators and may involve other individuals as it develops. The goal of the Sphere is looking after and coordinating the Regional Coordinators. New Sphere: Judge Levels Sphere. We’re merging the former “Level 1 and Level 2 Sphere” and the “Level 3 Testing Sphere” into a single Sphere, lead by Alfonso Bueno , with the goal of keeping judge levels up to date with Organized Play and with judge community needs. You can also find detail about the other existing Spheres here. You can find the current structure of the Judge program here. The team in charge of the “Org Chart” are updating it to show the changes that have happened since the last update. There are still some minor adjustments to make, but they want you to have a preview of it. Soon they will release the fully updated version, stay tuned for the announcement. Level 2 Tester as potential Regional Coordinators. As proposed by the Program Coordinators and approved by the Regional Coordinators, Level 2 judges with the Level 2 Tester Certification can now apply to the Advanced Role of Regional Coordinator within the region they hold their Level 2 Tester certification. We believe it is possible that a Level 2 judge with highly developed community and mentoring skills can perform well as Regional Coordinator, even if their tournament skills are not at the stage required to become Level 3. We expect this to occur rarely. Nonetheless, it is an important option for certain regions. Summary of Advanced Roles rotations. A new promotion of GP Head Judges was announced in July. Rotation of Regional Coordinators is ongoing. Applications for the Judge Conduct Committee and for Program Coordinators are also ongoing, but they were announced only in the Level 3 forum, as only Level 3s can apply. Access to reviews in JudgeApps. Reviews have now been moved into the JudgeApps platform. Thank you very much to the JudgeApps Development team for taking care of all the work it required. With this occasion we had the chance to re-think who can access reviews and under what circumstances. We decided to give access only to the Regional Coordinators of the judges writing and receiving the review. On top of that any judge can choose to share their reviews (written and received) with judges of their choice. Access can be revoked at any time. You can see your reviews here and on the left menu you can find the option “Share Reviews”. There are many important projects in the judge program and each one of them make the program a better place. We would like to tell you about one of them each time we publish a Status of the Judge Program article. This time we’re featuring the JudgeApps Development team. What would we be without the JudgeApps site? It holds our forums, tournament applications and events, the list of judges, projects and recently they added the Exemplar Program, Investigations, and Reviews. Having all of that in order was a tremendous amount of work for the Technology Sphere (led by Lems ). A big thanks to the crew. Project contributors of the season. …But projects are nothing without the people making them possible. We would like to highlight a few people doing awesome work. We know there are many, many, many more judges going above and beyond in their voluntary contributions to projects, and we will be featuring more judges in future issues of the Status of the Judge Program articles. Paul Baranay , Simon Freiberg , Joe Hughto , Rob Blanckaert and Ben Harris for their work on JudgeApps. Antonio Jose Rodriguez for leading the GP Travel Guide Project. Dustin De Leeuw for leading the Team Leader Certification project and its recent update. Alejandro Raggio and Nicola DiPasquale for creating and keeping the Disqualification Documents up to date. 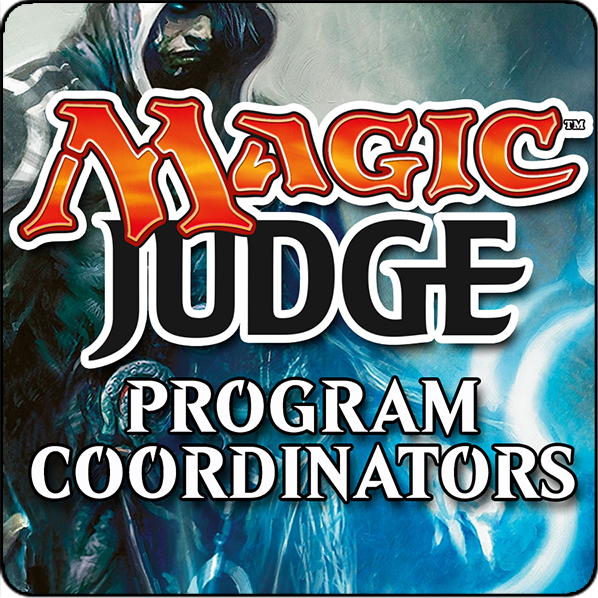 Jeff S Higgins for his work on the Magic Judges Twitter Project. Nicolette Apraez has written articles highlighting Exemplar Program recognitions, put together two internal exemplar surveys and reviews the most nominations. Antoine Bouaziz for leading the Pre Evaluation Interview committee. Special thank you to Jack Doyle for proofreading this article. Announcing the Program Coordinator Class of Fall 2017!